Iran to Pardon 50,000 Convicts on Revolution's 40th Anniv. Home Legal Judiciary Iran to Pardon 50,000 Convicts on Revolution’s 40th Anniv. Iran to Pardon 50,000 Convicts on Revolution’s 40th Anniv. 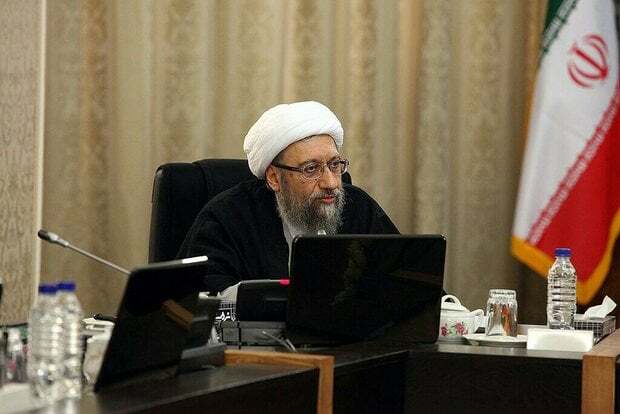 The Iranian Judiciary Chief Amoli Larijani said 50,000 convicts will receive pardons from Leader Ayatollah Khamenei on the occasion of the 40th anniversary of Iran’s 1979 Islamic Revolution. Ayatollah Sadegh Amoli Larijani, the Iranian Judiciary Chief, was quoted by Fars as saying at a meeting with the country’s senior judicial authorities on Monday that 50,000 convicts will be pardoned or their sentences reduced on the occasion of the 40th anniversary of Iran’s Islamic Revolution. Ayatollah Khamenei has agreed to a request by the Judiciary chief to pardon or reduce the sentences of as many as 50,000 eligible inmates convicted by courts of common pleas, the Islamic Revolution tribunals, the Judicial Organization of the Armed Forces and the State Discretionary Punishment Organization. The tradition is in line with implementing Paragraph 11 of Article 110 of Iran’s Constitution in a bid to reduce the adverse effects of imprisonment on the families of convicts and facilitate the process of the convicts’ rehabilitation.